Spirit: reconnect to your heart’s joy through tastes and smells that elevate your heart connection: dark chocolate, helps to calm your heart and treat palpitations and and anxiety ( not too much at a time of course) Blue and red berries, great antioxidants and blood builders help to elevate your mood, cinnamon has a calming warming effect, and a positive side effect of balancing blood sugar so helps to balance mood, the sweet licorice taste of fennel, tarragon, and anise help to calm cramping, aids digestion and calms the heart. Ylang ylang, orange zest, lime, bergamot, rose, geranium, and vanilla all assist to set the mood. They have positive effects at the olfactory level and assist to reduce feelings of depression, apathy, anger, and insecurity and increase feeling of joy, connection, acceptance, and forgiveness. Mind: Shift your attitude to where you actually have power, engage compassion, forgiveness, and perspective shifting. (see below the 2 steps that assist in this activity). Intention: reset to your parasympathetic nervous system. Breathe! Slow down and rest then refocus from your center. Identify what you really want to accomplish- what is your goal for the holiday ? — Begin with the attitude of gratitude. aLignment: reorder your priority: Focus on what you WANT, rather than what you Fear – See and focus on what is working – What you are grateful for – Stand in the center of your internal power… About what you know about yourself and our partner and what feels like love to your partner…try to live there. Feeling loved has the qualities of acceptance and feeling seen. Really loving has the qualities of seeing with acceptance and understanding. Most people spend their lives looking for love and or acceptance. The best way to feel love is to love another. Energy: Release and let go of historical grudges – forgive, (if the action is something that disallows you from seeing the person – this is a reasonable choice -> it is the holding on that I am suggesting you release – it happened, it changed you or the other person or your relationship – accept that fact, and then release the anger, fear, and negativity so that it can be placed into your history and not create stress or disease in the now). Part of energy is movement so if you begin to feel down remember to eat whole foods, drink clean and healing water, BREATHE, and get your body moving, with dance, yoga, or hiking to get the bugs out, go into nature and experience the tapestry of life all around you sometimes hidden when we are focused on too much thinking and not enough heart….Energy is also part of everything above..it is the culmination of integrated spirit, body, and mind lead by your heart- intuition. Smile. The actual action of smiling relieves, heals, builds your immunities, offers an opportunity for connection to others in peace and on the same plane. It is a gift to yourself and a gift to those with whom you interact. It is a flower that can uplevel your and other’s consciousness. Smile with gratitude, in forgiveness, to rejuvenate, –>> return to balance. 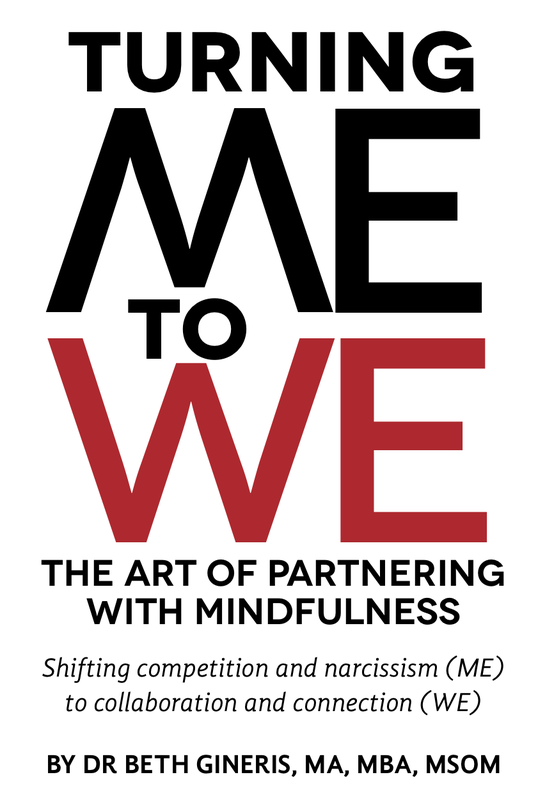 Consider this: ‘It’s not about being right it’s about be with (connecting)…that’s the glue of relationship.’ (Gineris, 2013, Turning Me to WE: The Art of Partnering with Mindfulness). Connection and collaboration – interdependence is the key. Often it is a tone, phrase, feeling, or style of interacting, that creates the defensiveness. Categories: Balance of Spirit Mind and Body category, consciousness development, Mindfulness living category, Paradigm shifting, social change through energetic upleveling, spiritual development | Tags: attitude of gratitude, consciousness development, healthy relationships, instinctive health, mindful relationships, mindfulness, relationship, return to balance, upleveling consciousness | Permalink. 5-8 weeks, hydrate with clean filtered water, nourish with whole foods, rest, and exercise to detoxify your lymph, digestive, and liver systems AND strengthen your heart, immunity and skin. Glowing from the inside and on the outside. Yes! So for week 5, focus on hydration and nourishment. That’s between 48 and 64 ounces OR six to eight 8-ounce glasses of water. So the important note here is that hydration requires water, not tea, not coffee, not diet coke, not juice – water. If you are an athlete or you sweat a lot you are best served to be on the 64 ounce end of the continuum and may need to add another liter(quart). Water is used by every cell in your body. It enhances movement in your joints, helps to plump skin, assists your lymph system in detoxification and your digestive system in detoxification . http://www.ncbi.nlm.nih.gov/pmc/articles/PMC2908954/ read this important article for more specific information. It is a major component of a healthy brain. Low levels of dehydration can cause discontinuity in mood regulation and thinking skills. moderate amounts of dehydration can cause delirium. So this means avoid modified, or deconstructed foods that you may find in boxed food or already prepared fast food. There is not enough nutrition there, and in some cases the product is not something that can be assimilated by your cellular structure. You want to eat foods that are grown in organic, local communities if you can. Eat meat that is grass fed, free range, consider that you want the animal to have had a life before its death. The Qi you get from your nourishment is only as nourishing as the components of the animal. If the animal lived in squalor, fear, and despair then that’s the Qi you are putting into your body. Be grateful to the animal for the sacrifice it made so that you could eat. If this seems too out there for you – consider that just as you are spirit mind body, integrated, and community as a social being, Understand through mindful, critical analysis that an animal in stress from a lack of connection to community and its natural state so that it can feed you will have huge amounts of cortisol and other endocrine elements of stress in its flesh and that is the foundation on which you will be building your health…that lack of foundation results in disease. It results in diminished immunity, out of control auto-immune issues, mental-emotional imbalance, and hormonal endocrine issues, a lack of nourishment which can lead to overeating and feeling un-nourished. Use spices to create synergism in your digestive, immune, and endocrine systems. To keep your bowels moving, at least once or twice a day, (You will positively affect this with water, as above.) add a daily supplement of magnesium citrate. Use fennel, ginger, and cinnamon to help you absorb the food nutrients you need and get rid of the stuff you don’t. Flax seeds are helpful as well as sweet potatoes, butternut squash, yams, and parsnips. Cinnamon in the morning in a bowl of oatmeal or in your morning drink will balance your blood sugar. It treats hypoglycemia naturally. My favorite tip from my Chinese Medical training is EAT the RAINBOW. if you look down and see a lot of brown and white — you are not eating in a way that is most nourishing for the systems that make your body work. Change to a more naturally colorful diet and your body will work more efficiently. Eat eight to ten servings of colorful fruits and vegetables and specifically include, every day, the family of the cruciferous vegetables, broccoli, collards, kale, cabbage, brussels sprouts, kohlrabi, as well as the garlic family, leeks, garlic, chives, and onions, which help increase sulfur in the body and help detoxification. Avoid stimulants, sedatives, and drugs. Eliminate nicotine, diet soda, cola, and sugary, high caffeine drinks. Drink coffee and tea, and eat chocolate (high cacao only) in moderation. Keep alcohol intake at a minimum and definitely not daily. It may take some time to incorporate these ideas into your daily routine. Here is a great blog about important information about best foods to help your brain. https://integrativemedicinestrategiesnow.wordpress.com/2012/11/19/brain-food-really/ . You can find out more at http://www.bethgineris.com. Beth’s upcoming book, 6 steps to transcending conflict and elevating consciousness, due out in 2015 offers special techniques for releasing unresolved injuries…and the elevation of consciousness. Categories: Balance of Spirit Mind and Body category, consciousness development, Mindfulness living category, spiritual development | Tags: 4x4 Habits 2 Health, attitude of gratitude, balance, balance of spirit mind and body, change, consciousness development, dehydration, detoxification, digestive system, hydration, instinctive health, lymph system, return to balance, upleveling consciousness, water, whole foods | Permalink. True we are all breathing in and out right now. To Create Space for Breath has more to do with conscious breathing – Inspiration and Letting go of that which does not serve…not only from a physical point of view, spiritually, and emotionally, too. Take a deep breath. What happened – did your chest expand? Great. Now take a breath in and think about breathing deep into your lower lungs, so deep that your belly expands out… Great! Now, what do you notice is different between your chest expanding breath and your belly expanding breath? Write down the differences…describe whether you feel your heart rate increase or decrease; whether you feel more or less relaxed; whether you feel a deeper sense of calm or a readiness to react; describe which allows a focus on your external or internal environment. Okay. Now that you have your own personal experience on paper you can consciously practice the type of breathing you feel brings you to your center, increases your awareness of your internal sensory guidance system, releases anxiety, and readies you to respond mindfully. Why focused breathing? Because it puts you back into the driver seat of your life. Shallow, automatic breathing actually keeps you disconnected from the now. Focused, conscious, mindful breathing brings you back into the center of your being; it allows you to choose How you want to Be in the world; How you want to respond in a given situation. By centering you in the now, you are able to discern what you want to keep in our life and what you want to release. It cuts through anxiety and fear to a quiet inner locus of control that allows your personal sensory guidance system (your five senses and intuition) to guide you through any labyrinth. You may look at this recent blog for even more information about the relationship between will and breath, https://instinctivehealthmedicine.com/2014/07/18/the-space-between-mindful-breathing-and-will-staying-within-the-threshold-of-calm-strength/ . And for any of you healers out there, this is my favorite blog about the importance of stillness, breath, and being a healer, https://instinctivehealthmedicine.com/2012/02/14/focus-your-energy-and-breathe/ . Breath allows you to focus your energy and create the space for healing, yours as well as other’s. As part of your 4×4 Habits 2 Health, Breath is one of the powerful keys to changing your world; to change you from the inside out. Yoga can be a powerful tool to increasing your positive relationship with breath and your body. Choosing to create space for breath includes creating the Habit of breathing through your fear, your anxiety, your stress. Begin each day with three deep relaxing, belly expanding breaths. You may follow this with a more entailed breathing in and breathing out session for five minutes (if you do this remember to make your inhalation shorter than your exhalation, so breathing in for a count of 3 and breathing out for a count of 5) Or 9 sets of Sun Salutation A, see this blog for how to do that: http://www.yogitimes.com/article/re-balance-healing-healer-life. OR through a sound toning and breathing session, see this blog for how to do that: https://instinctivehealthmedicine.com/2014/05/06/sound-healing-2-feel-the-vibration-allow-the-shift-elevate-your-consciousness/ . Categories: Balance of Spirit Mind and Body category, consciousness development, Mindfulness living category, personal development category, professional development category, social change through energetic upleveling, spiritual development | Tags: 4x4 Habits 2 Health, attitude of gratitude, balance, conscious breathing, consciousness development, healing, health, instinctive health, internal sensory guidance system, spiritual development | Permalink. Take the time today and over the next seven days to envision a picture of health. This is the foundation of what you desire to create. Include in this picture a multidimensional perspective of your self. What a re you looking for? A healthier relationship to food, your body, your spiritual connection? A way to navigate your multitasking life, or overwhelming commitments? A way to manage anxiety and stress? An increase in vitality both mentally and physically? 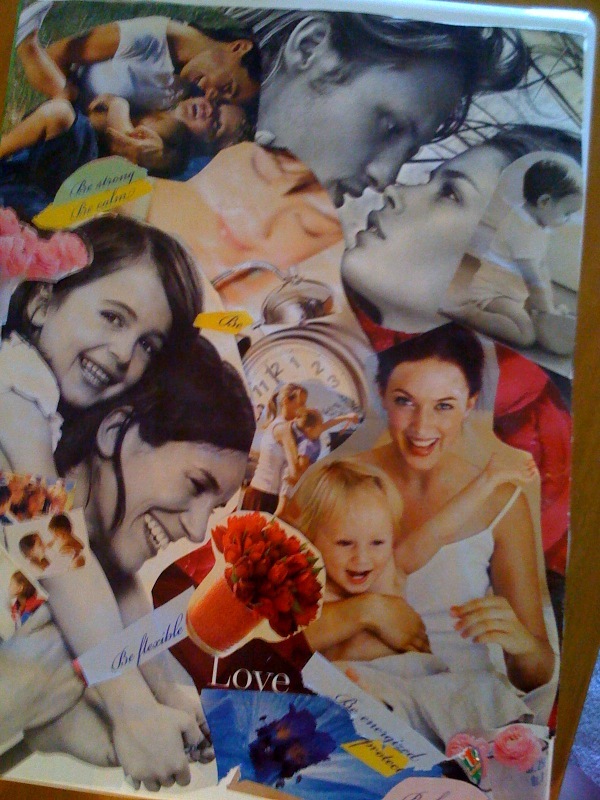 Take an hour ( or two) to create the picture with words or a collage. You may use your personal creative skills of drawing or painting or picture cut out of magazines to design your visual prompt. 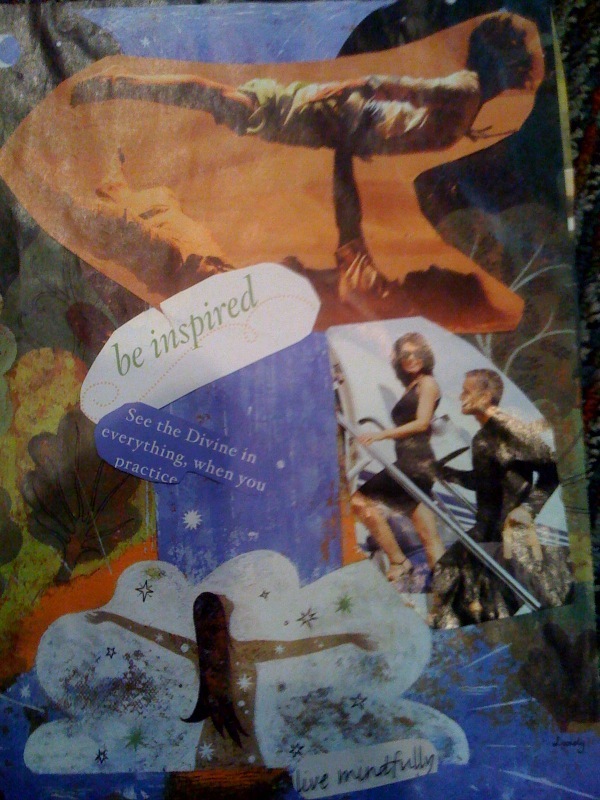 You can use the collage of words and pictures as a source or map from which you can draw support and reaffirm your goals. Once you have completed this visual aid, set up a morning and evening ten minute time to reset you commitment to your goals. Sit in a quiet place and view the picture, then close your eyes and breathe… Breathing in and breathing out for three to five minutes. While you are doing this you may identify more information about what you may what to accomplish. Write this down and then return to your breathing. Over the course of the next seven days you may add this information to your visual aid. Do this for ten minutes in the morning and ten minutes in the evening. Over the course of the next seven days, increase your awareness of what you feel is or is not working in your life – or what you desire to shift. You may add this to your map/visual aid. Categories: Balance of Spirit Mind and Body category, coaching category, consciousness development, social change through energetic upleveling | Tags: 4x4 Habits 2 Health, attitude of gratitude, balance, change, consciousness development, Habits4health, instinctive health, internal sensory guidance system, upleveling consciousness | Permalink. The issues are complex. The dialogue is so seductive. It belies the complexity of the issues. However, passing this photo off as truth is actually how propaganda works. The comments written within the photo don’t hold up to critical thinking. In order to address the problems facing the global community integrated mindful investigation of the problems facing us is necessary. 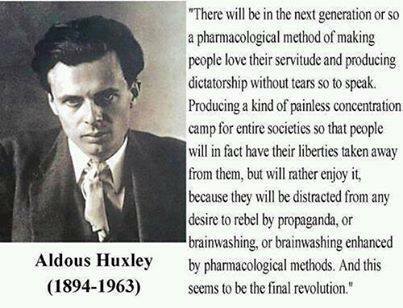 We need to uplevel our consciousness, include opposing views, paradigm shift, and integrate to solve these problems. Arguing for the opposite of what is keeps us on the same linear third dimensional curve. This is the problem with positive rights. This is the reason for a constitution of negative rights. Negative rights protect they press the reader to use critical thinking, to stand in the center of his/her integrated self and create from an internal locus of control the world that supports all beings. Positive rights simply change the name and status of victim or persecutor. How could you not believe in equal rights for gays, to love whom they love freely and without harassment? It is good to allow freedom. It is not good to force it by persecuting another group or person. How could you not believe in a woman’s right to make decisions about her own body? Yes women should be free to choose how to maintain their bodies and care for their physical vehicles…they should not be forced to have sexual relationships or to not have them. The issue of pregnancy is complicated because the women and child share the same physical vehicle for that brief 10 month period. Pretending that the being growing inside a woman is something other than another human being belies the reality and diminishes intelligence. Anyone who has been pregnant knows the child is real at the start, a growing human being. The same people who fight for abortion also fight for protecting animal infants…so how is this? Because of the trick of linguistics…the human growing inside the woman is renamed fetus — as if this being has no connection to the baby that might later be born. The answer is to support protect and care for the women, human babies AND animals, and animal babies AND the environment…it isn’t an either/or. The seductive propaganda has more caring for animal and plant life than human…Intelligence dictates that all life be valued. Just as animals should not be raised for consumption as if they have no sentience, humans babies growing inside a woman’s body should not be treated as if they have no sentience. How could you not agree with the issues of protecting the earth, recycling, allowing people to set up a household in our country that are seeking asylum? Yep, yep, yep, all important things, and all should be dealt with at the same level of honor. The thing that we have is our capacity to connect through mindfulness. It is telling that the group who once used to ‘question authority’ have become the group controlling what and how someone thinks. This shows the lack of balance and the degree of incongruence. From my perspective, this shift in focus in the liberal agenda and propaganda, proves Freud’s theory, that if you don’t work through your issues you will become the person(s) you hate, and you won’t be able to see it in yourself…We have to elevate consciousness not stifle it. From a consciousness perspective we are developing as two worlds. One world is arguing points from a 3rd dimensional plane — pushing for rights, but forgetting about responsibilities..these individuals for the most part have their hearts soundly in the right place — they want to change what isn’t working or what seems to be avarice, consumerism, and divisiveness…yet they are not using their critical thinking to think outside the crowd mentality, outside the mob mentality of right/might over wrong. This has some of the language of the evolving interconnected elevated consciousness but none of the energy. The mobs killing to make others listen, no matter how important you think your message is – you destroy your credibility through your behavior. The other consciousness that is evolving is that of one global world, completely interconnected– all human cultures with animals, plants, and the earth…this consciousness is not on the path of 3rd dimension good/bad, right/wrong, but rather on the path of discernment, wholeness, and collaboration. It is in the tessellation space where we are in agreement and built on that. It is compassionate, loving, and embracing collaboration. It is on another plane from the right /wrong, 3rd dimensional space. The challenge to everyone of us is to respond to our environment with compassion. Thinking you are right, and acting from this righteous place creates defensiveness in the other person. Finding your inner knowing and making honest efforts to connect that inner knowing with another’s inner knowing that creates love, care, connection, and peace. The elevation of consciousness begins within you, within me, within our children. And we cannot create the space for that when we treat others without compassion; when we treat others as if we are superior in our ideology. Compassion open the door for understanding and negotiation and finally a place where agreement is. ….the way home is through..first within yourself — addressing the complicated incongruent beliefs and behaviors you have and finding a level of congruence in your thinking and actions. Then next within your family systems. Then within your friendships and work. 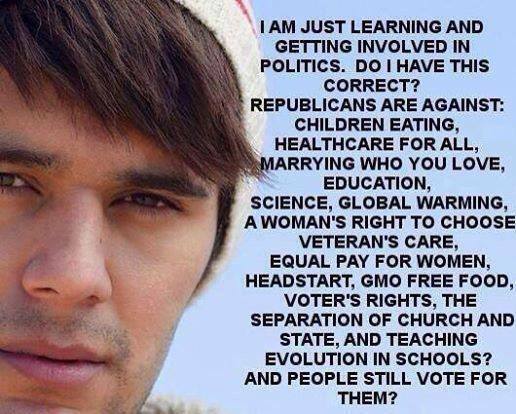 And finally in how you choose your government and what policies you encourage. It is a shift away from the power of alpha and popularity mentality toward REAL integrity, and value – from this space you can act in a way that is congruent with this elevation of consciousness. It’s tricky to stand in the center of your beliefs with your actions and be ready to be disapproved of, dropped off your social network groups because you are not in agreement with the group… and STILL remain loving, compassionate and strive for connection…that IS the elevation of consciousness, to move the group acceptance and drive for power into the workhorse role rather than the leadership role and have your Heart, true internal sensory guidance, and spiritual knowing be your leading guide. Categories: Balance of Spirit Mind and Body category, consciousness development, Mindfulness living category, Paradigm shifting, spiritual development | Tags: balance, change, consciousness development, critical thinking, effective communication, evolution of consciousness, healing psychological wounds, instinctive health, Instinctive Health Medicine, Martin Luther King, paradigm shift, release propaganda, spiritual development, upleveling | Permalink. Getting prepped for the Thanksgiving Holiday? Holidays can be stressful on your spirit, mind, body and community connections. A little stress is fine, you can think of how it helps you stretch yourself and push the boundaries of your life and living habits. But too much stress is harmful, it can lead to inflammation, anxiety, wear and tear on your spirit, attitude, and physical self. Humans experience stress by hunkering down, pulling in, holding in tense muscles and releasing cortisol. This is all good if you are faced with a situation that requires immediate reactive attention and action. But it’s important to then move through that event to recovery and reset…homeostasis, return to balance. This is a normal aspect of how your integrated physical/emotional/spiritual body works….sympathetic nervous system is the action system in your integrated self and the parasympathetic nervous system is the regenerative system of you integrated self. Holidays give the promise of regeneration, connection, and gratitude…but often the reality is STRESS…feeling disconnected, running around to make things work, and/or intense feeling of loss or lack for those are not in the situation to be with community. 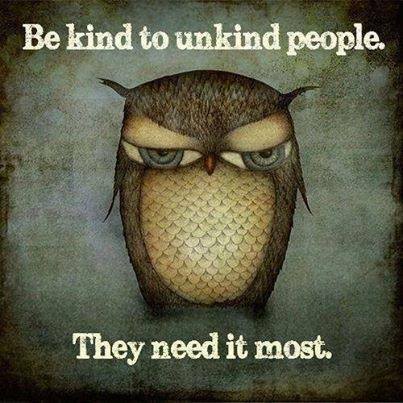 The last part of this has to do with the basic human empathic drive to connect. This drive to connect is not just emotional it is hard-wired into your brain through mirror neurons. Mindful meditation assists in increasing empathy and altruism as part of how your brain works. Of course having a willingness to simply breathe, meditate and refocus is a great way to deal with stress. But for any of you who need some tricks to get yourself there, here are some great ideas. SMILE is a way to help yourself. Not only is the action of smiling releasing of positive chemicals in your brain it also has a relaxing effect on your muscles. Next, after you smile remember to breathe deeply into your solar plexus…this also causes a deep sense of relaxation and triggers the positive effects of the parasympathetic nervous system. Have on hand the following helpful Brain foods, spices, smells, and tastes…. Brain foods...Walnuts, pecans, eggs, kidney beans, white beans, ( these food have positive effects on your brain neurotransmitters and strengthen the plasticity of your brain – that’s what helps with memory and learning) ( also these foods have important amino proteins that help strengthen the cortex of your brain) Cacao (that’s right dark chocolate treats anxiety by calming our heart), coffee ( the coffee bean has positive antioxidant and health benefits for brain and heart activity – careful on the amount, stay at 2 cups a day), cauliflower, broccoli, and dark colored berries (blueberries, cherries, raspberries) as well as the amazing energizing, immune strengthening food, goji berries… and wonderful avocado, the best kind of fat necessary to really keep your blood vessels going and your brain working. Spices…Cinnamon (calms your spirit while energizing your body…balances blood sugar, eases digestion), Licorice (licorice bark, fennel, anise) licorice calms your heart – actually slows your heart pulse, and eases digestion for those upcoming heavy meals, Clove, ( energizes and balances – it has a synergistic effect on your spirit mind and body – which results in a sense of peace, and use these Smells to further positively effect your integrated energetic system. Tastes..Citrus has an immediate effect on mood..Lemon, and Lime help to diffuse anger; Orange and Bergamot are anti-depressant; peppermint opens the nasal passages and the lungs, oregano helps to balance the internal digestive system. Clove, frankincense , vanilla, lavender, all, reset and balance deeper levels of dissonance, sadness, grief and loneliness, anxiety and heart injury. These work best both from a taste and scent perspective. So using these foods as medicine helps you to set the stage for the returning to balance and get your parasympathetic nervous system to engage and shift your energy. SMILE is a perfect acronym for this – the action reminds you to focus on the attitude of gratitude. Pay attention to what is working in your life, rather than what isn’t working…Rather than continuing to pile-on exterior examples of how the world is against you – consider the things that are working in your life…this action helps you focus on the WHOLE of your life and so diminishes the negative effect of your life stressors and increases the positive effect of your life’s benefits. Focus on what you want rather than what you fear..this is a way to reset where your power is- attend to what you have control over and put your energy into that rather than worrying about the events or possibilities that might happen or that you have no control over changing…this is a locus of control concept and resets your locus (place) of control into your internal center. The result is empowered action and inner strength. Change have to Be… If you want to have something in your relationship, be that. This is the power of modeling and increasing your internal empowerment and focus on what is working…Gandhi’s: BE the change you wish to see in the world. The idea of shifting your perspective to gratitude, is the intention behind the idea of Thanksgiving, when this intention is lost in the activity of making it perfect or feeling like you have nothing to be thankful for, Smile can assist you to shift your perspective. Spirit: reconnect to your heart’s joy through these foods, spices, smells, and tastes.. Mind: Shift your attitude to where you actually have power, engage compassion, forgiveness, and perspective shifting. Intention: reset to your parasympathetic nervous system, slow down and rest what you really want to accomplish- what your goal is for the holiday — the attitude of gratitude. aLignment: reorder your priority to what you want not what you fear – to what is working – what you are grateful for – to where you have power… Ie: if you burn the turkey – you are still all together – so maybe you are having a vegetarian thanksgiving…the old make lemonade out of lemons rather than stressing about approval and perfection. Energy: get out and move, make sure you sleep, release and let go of historical grudges – forgive, (if the action is something that disallows you from seeing the person – this is a reasonable choice -> it is the holding on that I am suggesting you release – it happened, it changed you or the other person or your relationship – accept that fact, and then release the anger, fear, and negativity so that it can be placed into your history and not create stress or disease in the now). You may participate in seminars to learn these techniques through the bethgineris.com. 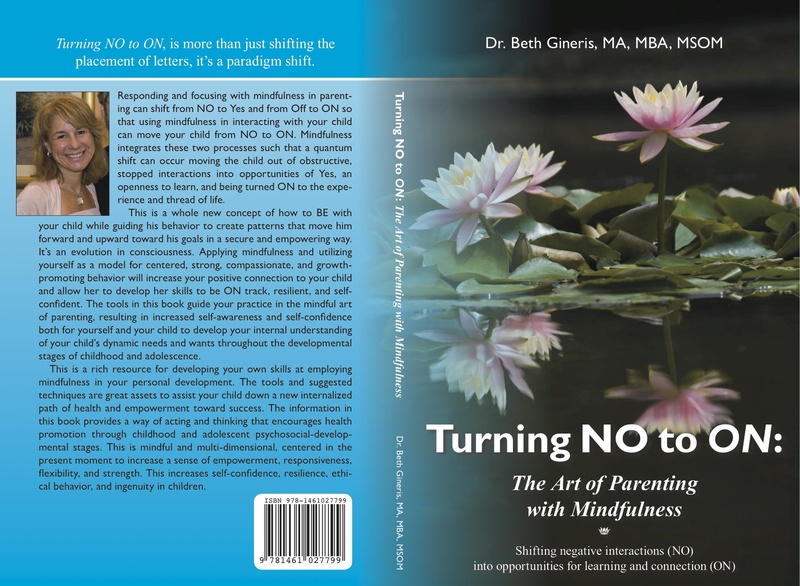 Beth’s groundbreaking book Turning Me to WE: The Art of Partnering with Mindfulness(2013), has some great tools about Temperament style and your personal style of partnering, as well as the insecurity Drivers MAAPS. Discover how your worldview works to your benefit or detriment, and whether you have an attachment that is creating problems in your relationships. MAAPS will help you to discern your insecurities and understand how and what underlies how you developed your insecurity driver (Money, Achievement, Attachment, Power, Structure). Categories: Balance of Spirit Mind and Body category, coaching category, consciousness development, Paradigm shifting | Tags: attitude of gratitude, balance of spirit mind and body, consciousness development, depression and thanksgiving, food as medicine, instinctive health, krqe.com dr. beth gineris, overcoming poor self esteem, parasympathetic nervous system, return to balance, Smile, surviving the holidays, upleveling consciousness | Permalink. As you develop through your life you emphasize and de-emphasize different aspects of who you ARE – your multi-layer-self. Your multi-layer-self is comprised of your spiritual, emotional/cognitive, physical self. Each decade offers you a new perspective and it gives you a chance to incorporate what you have learned in the past in a whole new way…I think of this as discarding your outgrown old skin and growing a new skin. 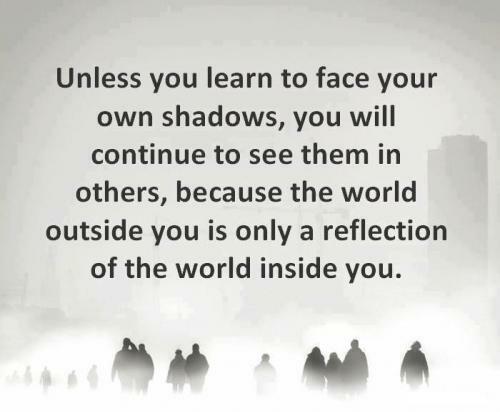 In the earliest aspect of your life 0-10 years you are developing the foundation of how you see yourself: what matters to you and how you want to be connected to those around you. This is the beginning of your lifelong relationship with how you get what you want and how you make a place for yourself with others… this requires balance. At first your neediness may be the focus and boundaries are set from an outside source. As you move through this decade you develop internalized boundaries that assist you in managing your needs and the expectations or wants of your group. If you had injuries, abandonment, deficiencies in how your early environment responded to your needs then you will develop an over-developed dependence on yourself (so rigid boundaries) <the I-style of relationship in MAAPS*> or an over-dependence on others (so enmeshed boundaries) <the me-style of relationship in MAAPS*> . When this occurs your development in the decades that follow will have a skew toward rigidity, difficulty connecting at a deep level or enmeshment (what some call co-dependence) which also results in a difficulty to connect at a deep level in relationship. These difficulties look different in relationship but skew out from the same place…inner insecurity and imbalance. If you had a balanced set of love and discipline in the first ten years of life you will have a basic flexibility in how you manage getting what you want and pleasing those whom you call family and friends. This grows in depth and breadth throughout the next decades and you will find yourself having the internal strength to focus your life toward goals while simultaneously creating loving relationships. The decade of 10 – 20 years offers a new level of managing your internal focus and boundaries. This is biologically a time when relationship outside your family of origin begins to have greater importance. You determine what aspects of your familial groups and group constructs are in alignment with your goals and perspectives of the world and yourself. This is where you benefit from an early life that included a sense of freedom and boundaries in balance. When you have this in balance you are flexible in how you negotiate care of yourself and care of others. Additionally, you have a more grounded sense of your assets and limitations which supports you creating goals that are within your reach and goals that promote a sense of positivity and empowerment within you and your community. If you have somehow skewed off into a me-style or I-style of relationship, then you have to develop inner security, empathy and boundaries. This is the work of the decades 20-30 and for those of you who are from the 90s and 2000 generation this may incorporate the decade of 30-40. Here a sense of spirit is good to discuss. A loss of faith has hit a lot of the millennium generation…loss of faith in elders, in the world at large, even in the purpose of living on the planet. This has resulted in a sense of being out of balance with the world around them. In order to reconnect with yourself, in relationship or/and with your community you must reconnect with your sense of spirit. You can find this in reconnecting to your internal sensory guidance system..your 5 + 1 senses …your senses of seeing, tasting, feeling, smelling, hearing and intuition..these are your perfect guides to what path to take. These are your proof in this interconnectedness and your sense of spirit. Once you allow your sensory guidance system to chart your course then your relationships become mutually empowering and your faith returns. By listening and responding to your 5 + 1 senses you create goals that fill you with strength, resilience and joy. You will naturally use empathy, inner security, and boundaries to map your life. Categories: Balance of Spirit Mind and Body category, consciousness development, Mindfulness living category | Tags: attitude of gratitude, balance of spirit mind and body, boundaries, change, child development, empathic civilization, inner balance, instinctive health, loss of faith, relationship, upleveling consciousness | Permalink.